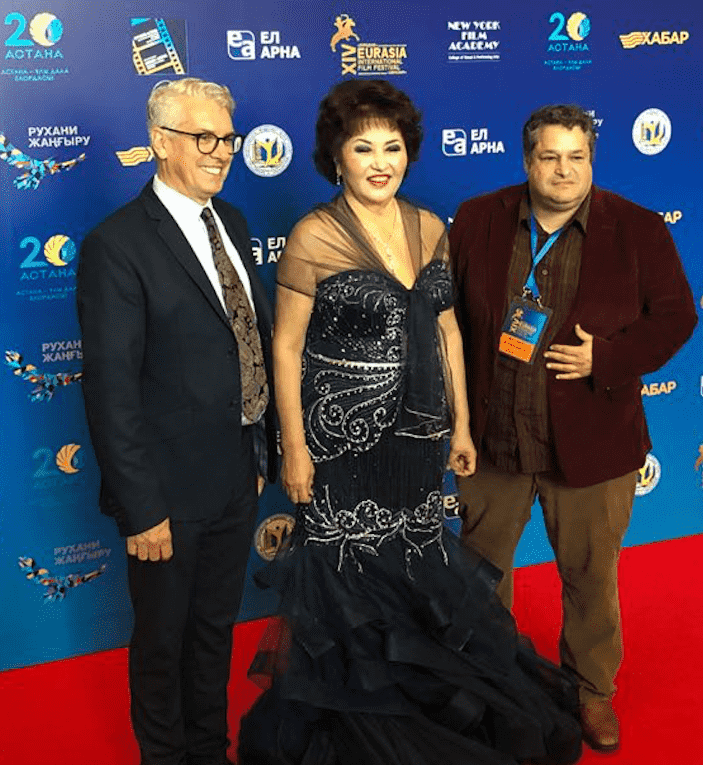 The New York Film Academy (NYFA) was honored to participate in the Eurasia International Film Festival this July in Astana, Kazakhstan, as a VIP guest on the red carpet and beyond. Established in 1998 and accredited by the International Federation of Film Producers (FIAPF), the Eurasia International Film Festival is Central Asia’s most prestigious film forum. 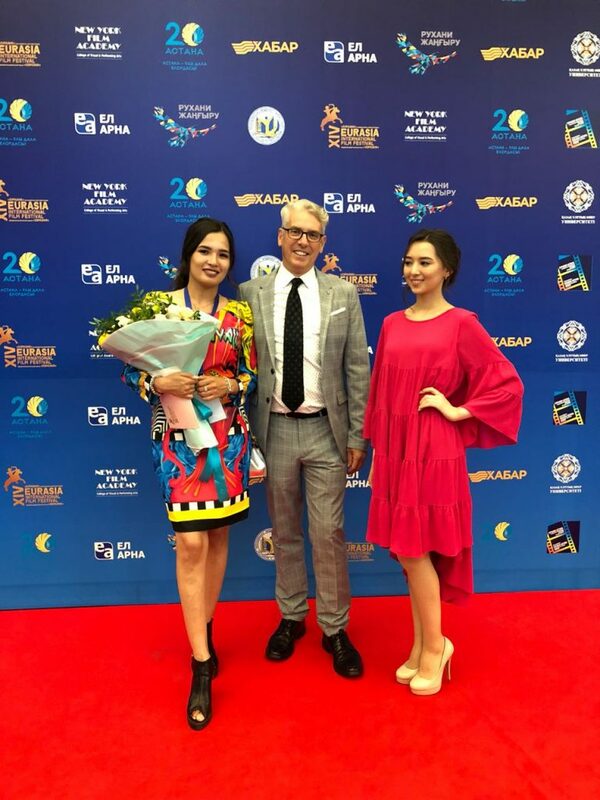 The event focuses on fostering and celebrating collaborations between European and Asian film industries, all while supporting Kazakhstan’s current and future filmmakers. As a distinguished guest, Vice President of Strategic Partnerships Jim Miller represented NYFA in the prestigious event’s competitive Project Market program, as well as heading the PitchFest jury. A crowning jewel of 2018’s Project Market was the PitchFest competition. Out of 31 project submissions, 10 films from Kazakhstan, Kyrgyzstan, Russia, and Tajikistan were selected to compete for four top prizes. The most sought-after prize? Two full tuition scholarships to the New York Film Academy. NYFA Vice President of Strategic Partnerships Jim Miller spearheaded the PitchFest jury, working alongside premiere filmmakers, writers, directors, film critics, editors, journalists, documentarians, distribution executives, and producers. These industry experts hailed from the film industries of Kazakhstan, Russia, Singapore, Israel, and the U.S. Together, they selected four winners, with the two grand prize winners receiving scholarships to the New York Film Academy’s New York and Los Angeles campuses. 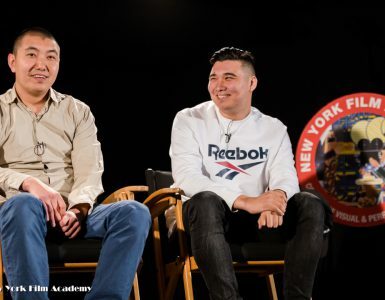 The NYFA scholarships were awarded to Kazakh filmmaker Amir Amenov (Ystyk kun, salkyn sira/Hot Nights, Cold Beer), and Kyrgyz filmmaker Dalmira Tilepbergen (Lonely Pine). Celebrities from around the world, including César Award-winning actor Vincent Cassel (France) and two-time Palme d’Or-winning director Emir Kusturica (Serbia), attended the Eurasia International Film Festival’s climactic red carpet event and award ceremony, along with many special VIP guests. The award ceremony featured world-class performances for an enthusiastic audience of over 5,000. 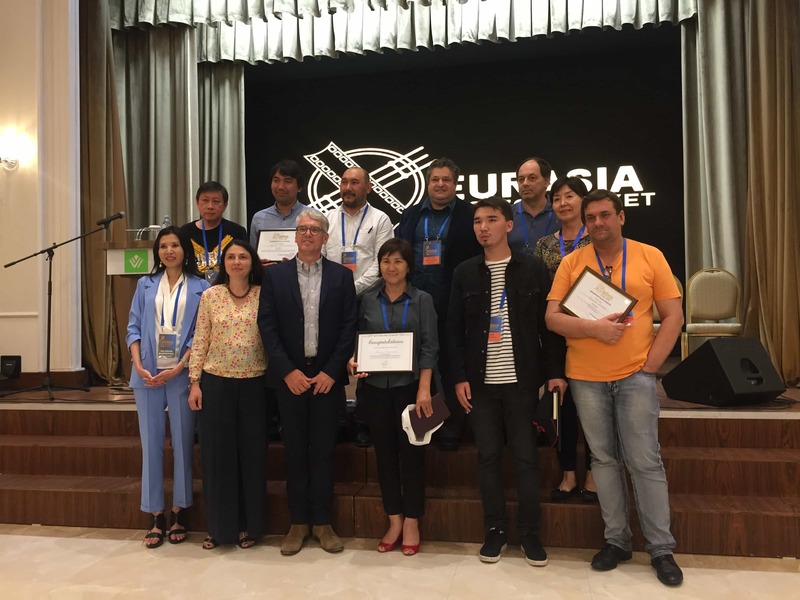 The New York Film Academy thanks the Eurasia International Film Festival, and its President Aiman Massakhajayeva, for the honor of participating. 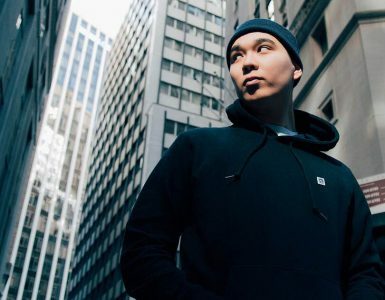 Massakhajayeva is the National Artist of the Republic of Kazakhstan, an honorary UNESCO Artist of Peace, and the Rector of Kazakh National University of Arts (KazNUA) — with whom NYFA recently established a partnership. This fall, the NYFA Los Angeles campus will welcome six KazNUA students through this cooperative agreement.